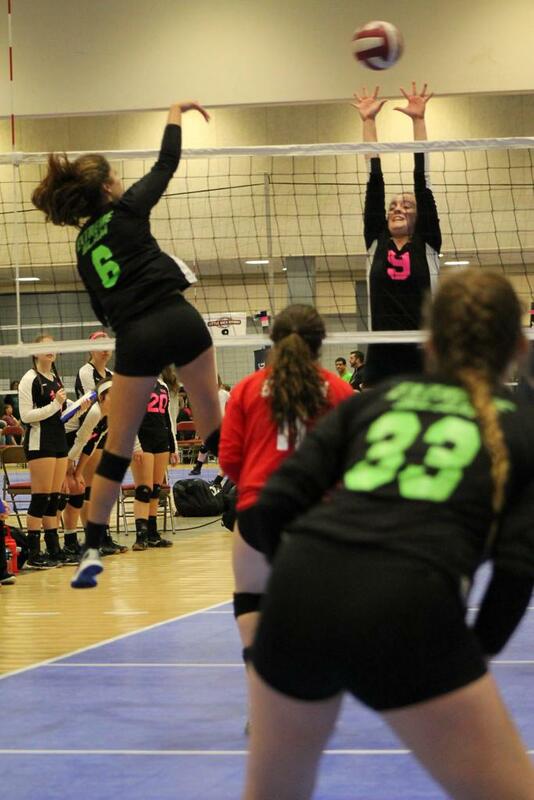 USAV Age Chart - Click Here to determine the correct team for you to register for. Still Want Some Extreme Slam Gear? Fan Cloth has opened an online store that you can order from through January 31, 2019. If you wish you had ordered something earlier, then here is your chance! Simply click on the link below to go to the Fan Cloth Catalog, enter the catalog #, place your order, and pay online. They are telling me that the sale will end January 31, 2019 and that you should have your Extreme Gear by the middle of February. It is still Very Early in our Season...but our teams showed up to play. 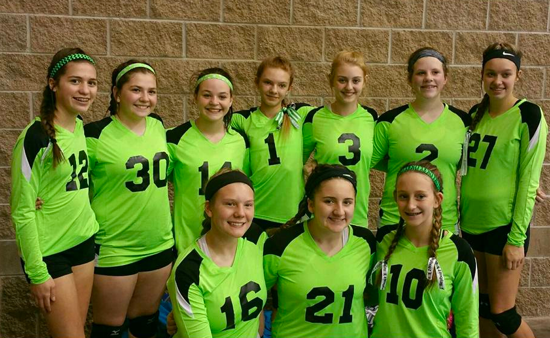 I believe that this is the first time in our club history that all of our teams went to Gold Bracket play. You may not have won your bracket...but you still ranked in the top half of your divisions. With the level of competition that was there, that is saying something. 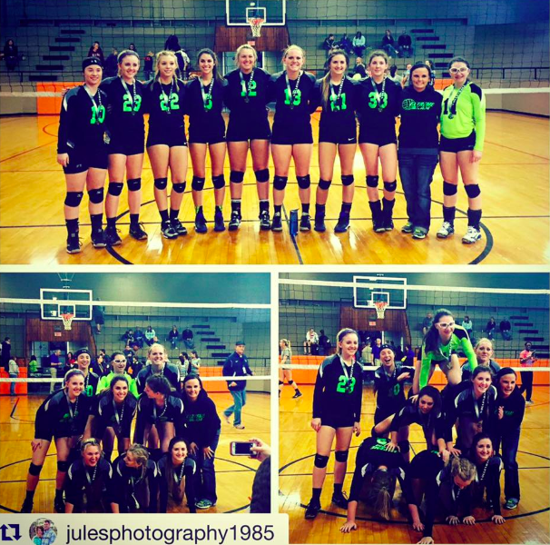 Congratulations Girls - Go Extreme!! If you, a friend, or family member that is not currently on a Remind list. Feel free to Join the Extreme Slam General Remind Group. This will keep you updated on all general announcements for the Club. Get all the latest Club news and notice for all the upcoming events. It's simple! To join - text 81010 and put @extremeg in the message area. This will keep you in the loop on all the General Extreme News! 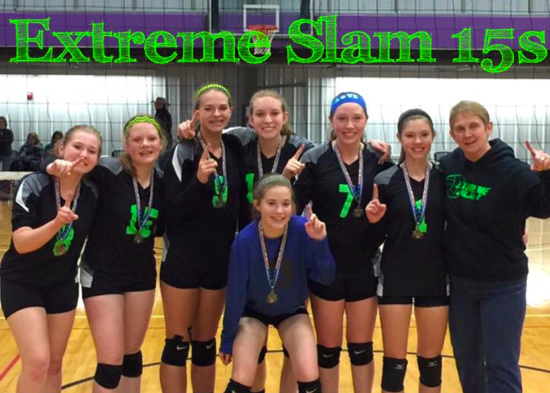 The purpose for Extreme Slam is to help the area girls gain additional skills and increase their abilities! 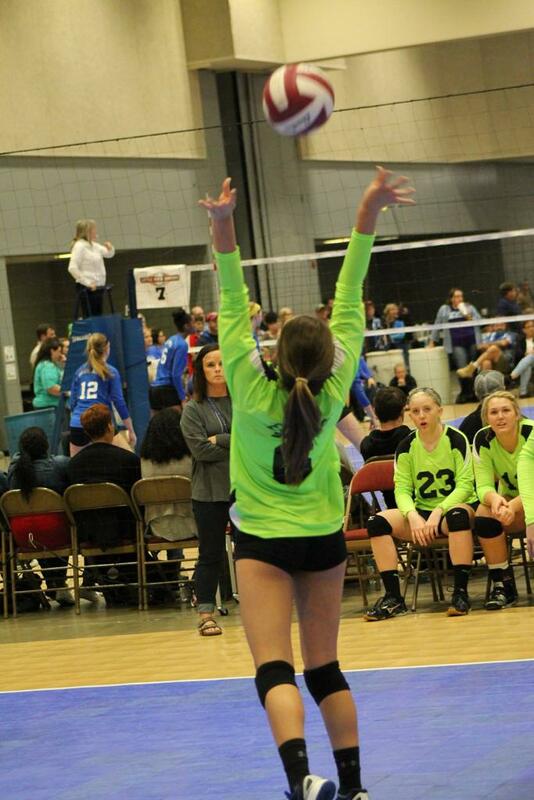 Each team has a dedicated Coach ready to work with your daughter to grow her skills and love for Volleyball. ©2019 Extreme Slam Volleyball / SportsEngine. All Rights Reserved.